Write about what you know, we’re told, and John Irving is certainly a big subscriber to that particular maxim. For his 13th novel, Irving once again inhabits the worlds of New Hampshire (his birthplace) and wrestling (his preferred sport). Our protagonist, Billy Abbott is even the stepson of a private school teacher: just like Irving. Where In One Person takes off on its own, is through Billy’s sexual predilections. 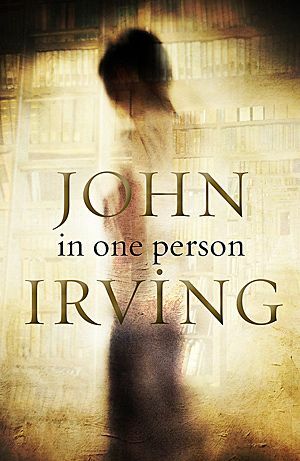 Irving’s title refers not just to all the things Billy desires (men, women and transsexuals) but all the things he needs from others, which can’t be found in one person. We first meet Billy in 1950s Vermont, when he discovers literature and lust at the local library. Attempts to repress his adolescent yearnings help shape him into the writer he will become, journeying through a burgeoning New York gay scene, the devastation of AIDS and through to the present day. As always, Irving’s characters are fascinating, his prose engaging. And while his fast and loose approach to chronology makes for a concentrated read, it’s well worth the effort.